Remind me never to enter within a love triangle. Apparently that lifestyle consists of haunting dreams, where you must literally climb to safety or die trying. That doesn’t sound like a lot of fun to go through in real-life, but in video game form, it certainly would be. Atlus has released its launch trailer for next week’s big release, Catherine. The trailer is aptly named Climb or Die, as that’s exactly what a lot of the game’s action sequences have you doing. Then again, who wouldn’t climb a nightmarish tower of blocks as fast as they could upon seeing a gigantic evil woman or a sumo baby below, each with murderous intentions on the mind. 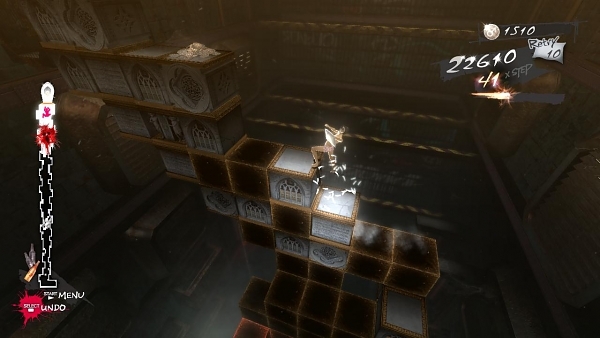 Underneath its strange presentation, filled with anime style visuals and sheep men, is a rather involved puzzle game. One that certainly looks like a lot of fun, even if it’s scary.